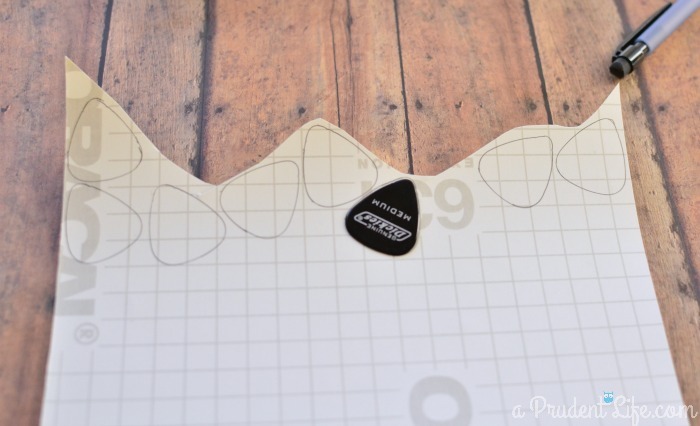 I was over the moon when Expressions Vinyl selected me as a regular contributor to their blog! 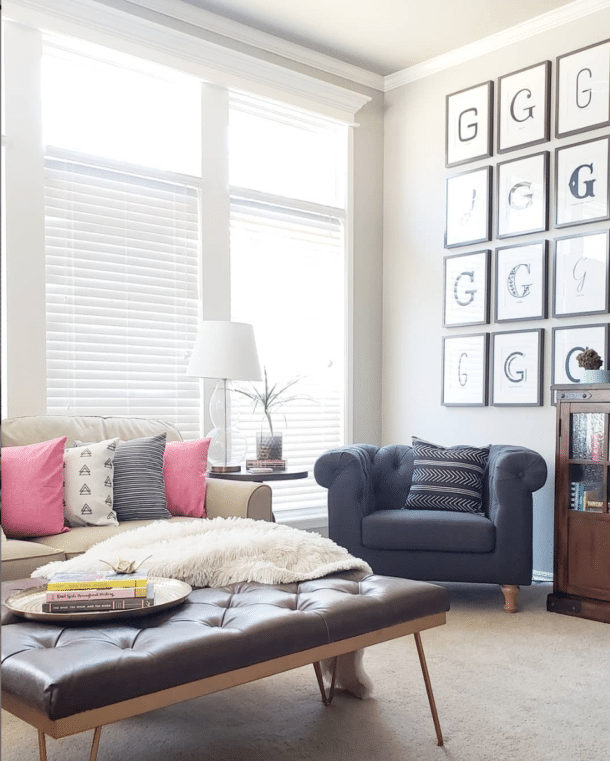 When I first discovered their website, I was completely blown away by all the vinyl options. Metallic vinyl, heat transfer vinyl, chalkboard vinyl and so many pretty colors of adhesive vinyl. My mind was racing with project possibilities! 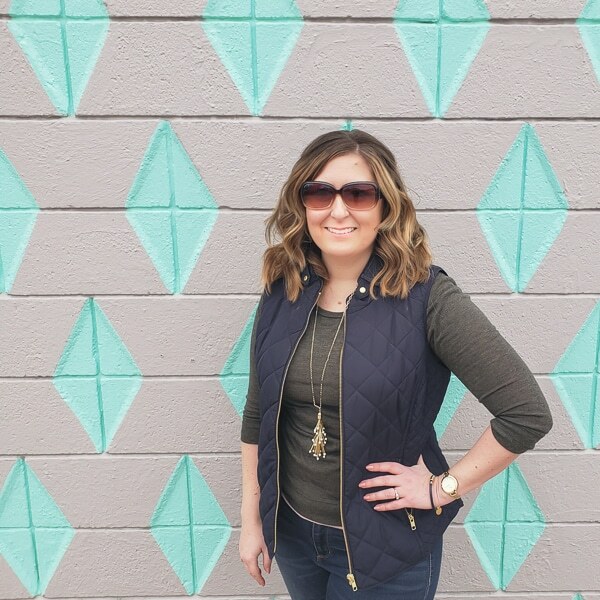 For my first contributor post, I decided to focus on spring! 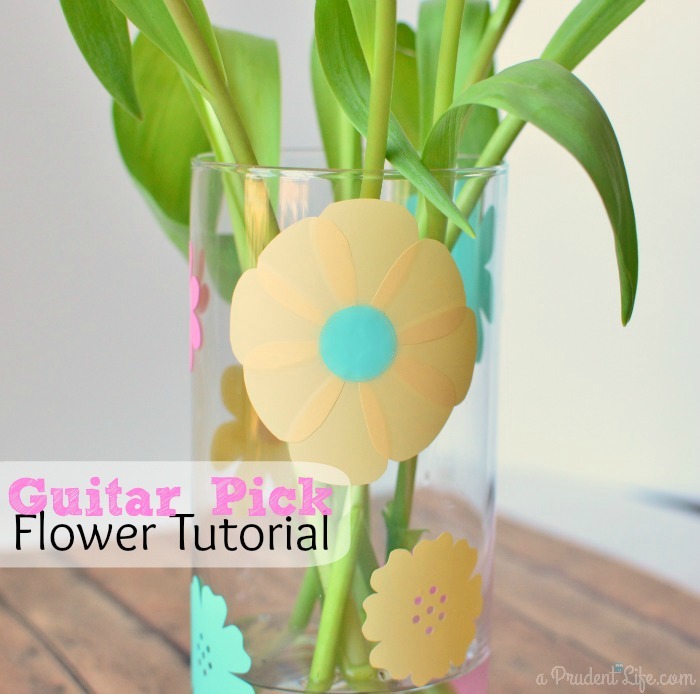 I started with a clear vase from Dollar Tree and came up with two ways to make cute flowers to dress it up. You can see the Silhouette how-to AND free cut file on the Expressions Vinyl blog. 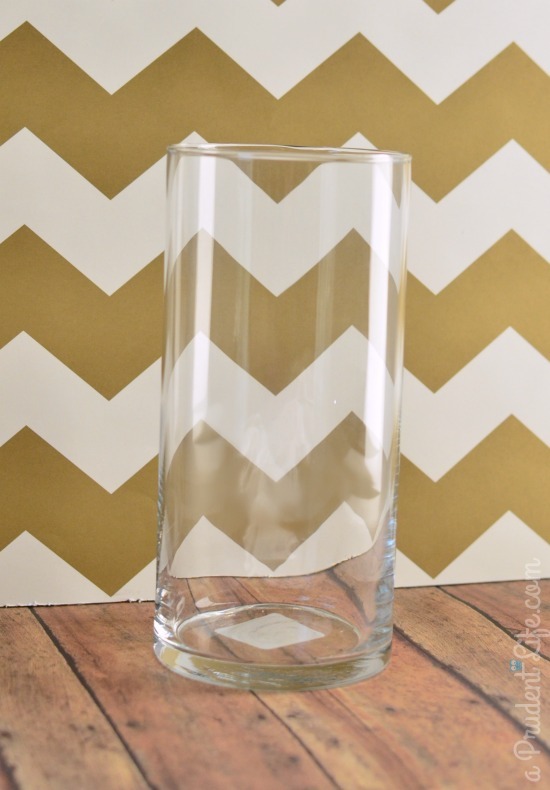 If you don’t have a vinyl cutter, I’ve got a tutorial for you here! I started with a sheet of Maize Indoor Vinyl – the perfect spring yellow. 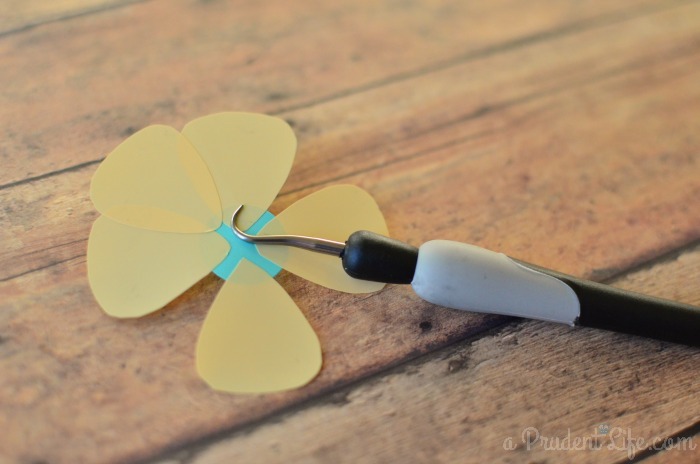 To make petals, I traced a guitar pick! You’ll need 8 guitar pick petals for one flower. Once everything was traced, I cut all the petals out with scissors. I also cut a circle out of a coordinating vinyl (I picked Mint). I used a circle punch, but you could also trace a small lid. I took the backing off the circle first, then starting attaching the petals one by one. I put the first four petals in a + pattern, then filled in the gaps with the other four petals. You’ll want something to hold your in progress flower so you have both hands free to peel the backing off the petals as you go. Once all eight petals were attached to the center circle, I had a complete flower for my vase! Isn’t it pretty? Make sure you check out my post on the Expressions Vinyl blog to see the full vase, including the tutorial on making custom flowers using Silhouette Studio. If you don’t want to make your own, I also included a link to the cut file! Did I mention this entire vase only cost $7? $1 for the vase & $6 for three sheets of vinyl. Really, I only used a small portion of each vinyl color so I have plenty left for more projects. Considering that, it was probably about a $3 project. Pretty awesome for a custom vase! How clever to use a guitar pick!! Very nice. Oh, gosh! I really love this and it’s very economical. I’ve wanted to do things like this so I’m glad you also explain that you don’t have to have a Silhouette. I’m glad you liked it Carla! Although I LOVE my Silhouette (and I just have the smaller Portrait), vinyl is so versatile you can use it for tons of things without a cutter. Thanks Christy! Vinyl is my favorite thing to use with the Silhouette!